Would you believe it if I said writing short stories is harder than writing chapter books? For me, it’s true. Sure, writing books generally takes longer. But in a novel, you have hundreds of pages to develop your characters and resolve the conflict. In a short story, you have only a couple of pages or less. For my fellow long-winded writers, short stories are an amazing way to get yourself focused and organized. When writing a book, I get lost in the plot and forget my objective. Becoming sidetracked is one of my specialties, and I do it often. This month, I challenge myself (and any other writers who stumble upon this post) to write a structured, to-the-point, short story. No unexpected detours in the plot; no “fluff” scenes that serve only to get you from one point to the other; and no pointless side characters. The purpose of a short story is to convey an emotion, shock readers with a twist or punchline at the end, or just to have fun. There are many types of short stories, as pointed out in an article I read today. 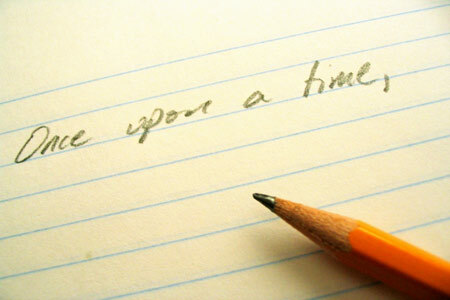 You can write a short story anywhere between 50 and 3000 words. Skill in writing these pieces may pay off in the end as well, because many writing contests involve short stories (chapter book competitions like Tweener Time are extremely rare). God bless, and have fun writing your short stories! If I am not too embarrassed, I may post a short story of my own (but remember: short stories are not easy for me. Don’t expect something phenomenal). Quick Note: Thank you to everyone who made my weekend at the IAHE convention! I had the opportunity to speak with many aspiring authors, and I hope to read their works in the 2009 chapter book competition! The deadline is approaching, but it isn’t too late to begin your manuscript. It’s always great to hear the perspective of other authors! I agree, I also find short stories harder to write than novels. Once you get into writing, it is sometimes hard to keep it short. It takes great skill to be able to write a story that not only continuously catches your attention and has twists and turns, but also stays within the limits of a short story. I agree, its not easy to wind up long before you have given life to characters. I am a new writer.